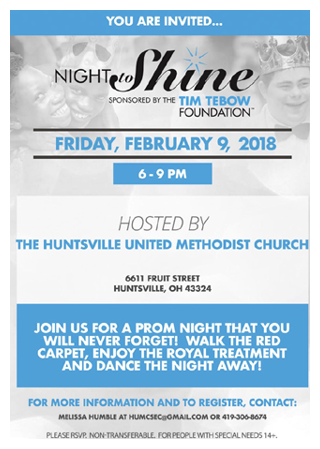 We could not be more excited at HUMC to host Night to Shine sponsored by the Tim Tebow Foundation on Friday, February 9th from 6-9pm. Guest registration forms are available for all that would like to attend! All guests must be 14 and older. If you are need of a registration form you can email us at huntsvilleumc@gmail.com or call Melissa at 419-306-8674. 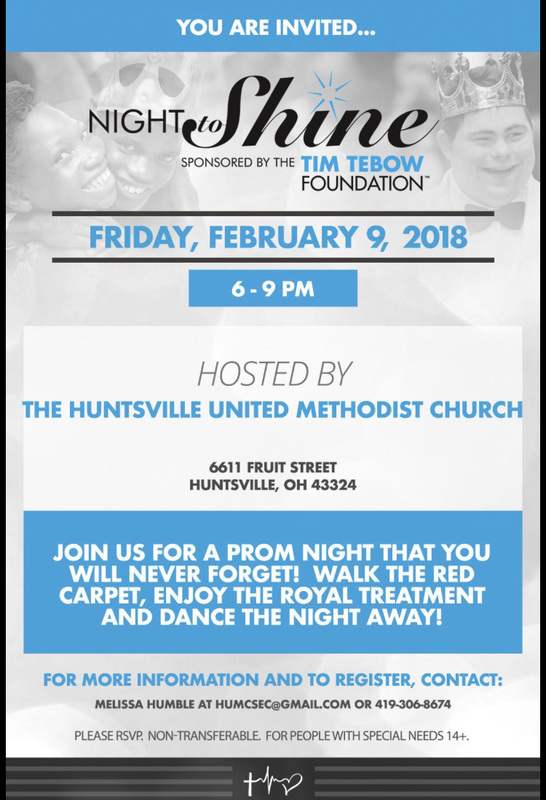 We can’t wait to see our guests walk the red carpet, enjoy the royal treatment, and dance the night away!